My dear friend Charlie passed away many years ago. 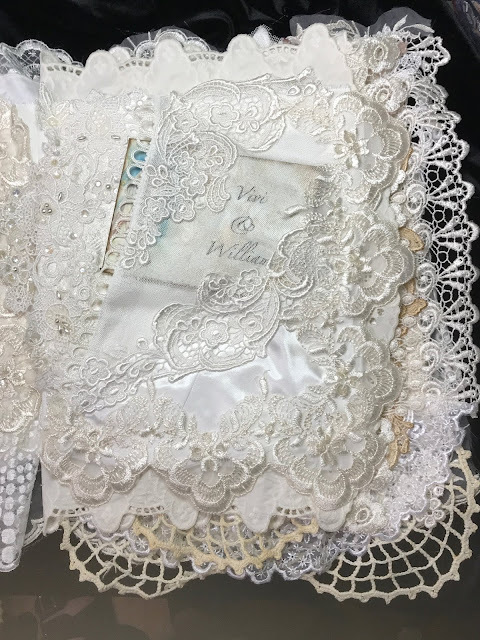 I've stayed in touch with his daughter Vivi who is Celebrating her recent wedding this Saturday. 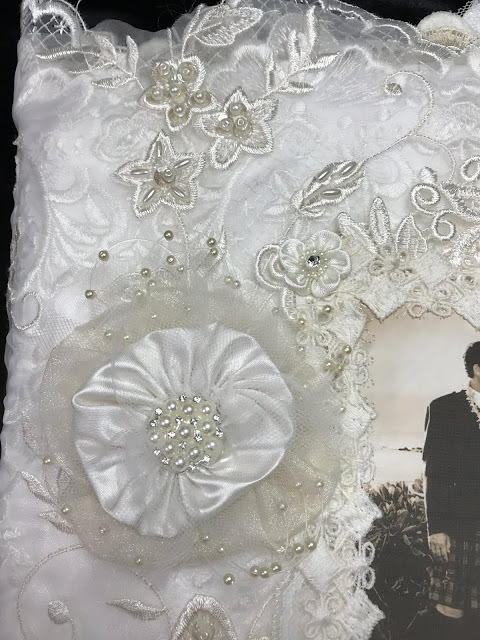 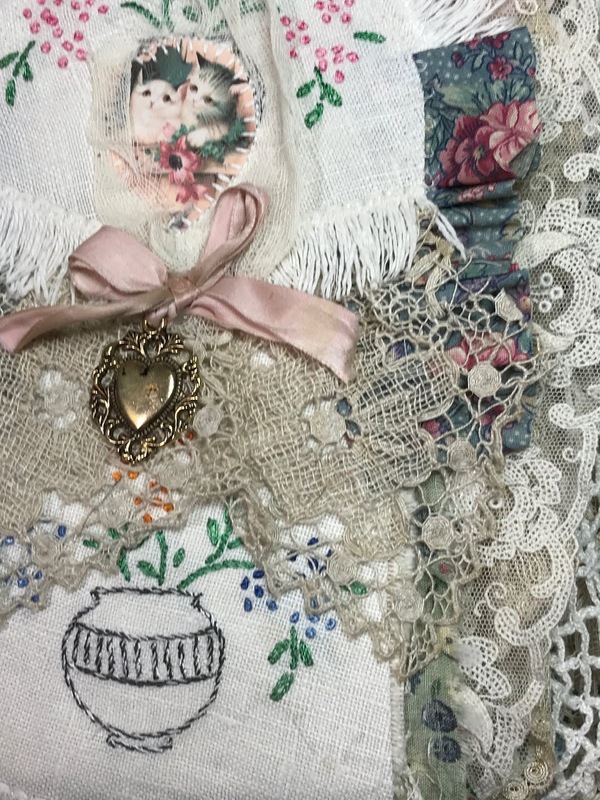 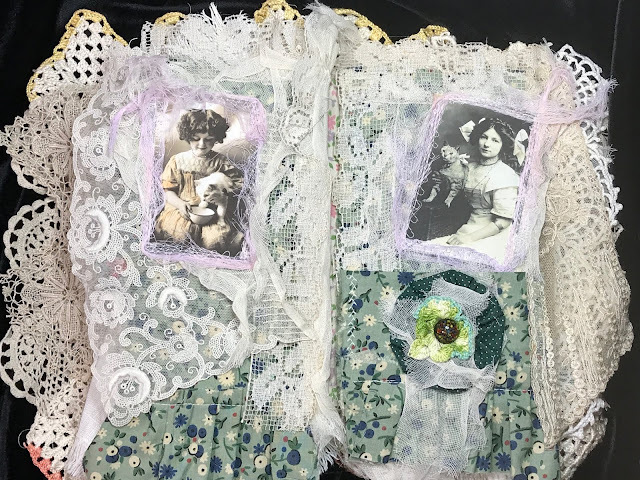 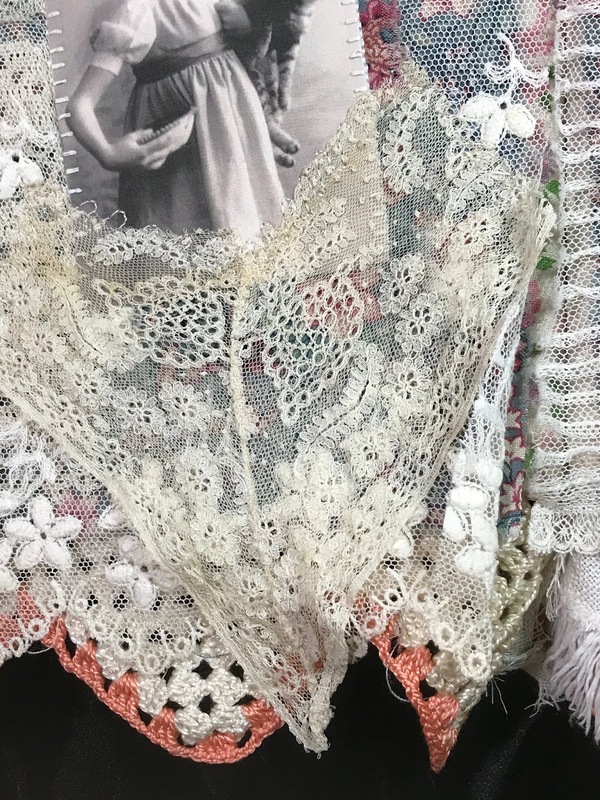 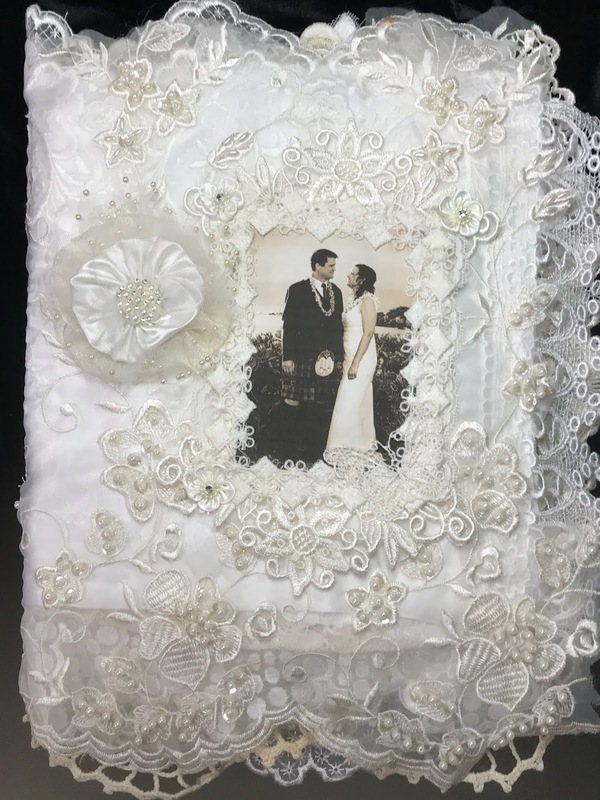 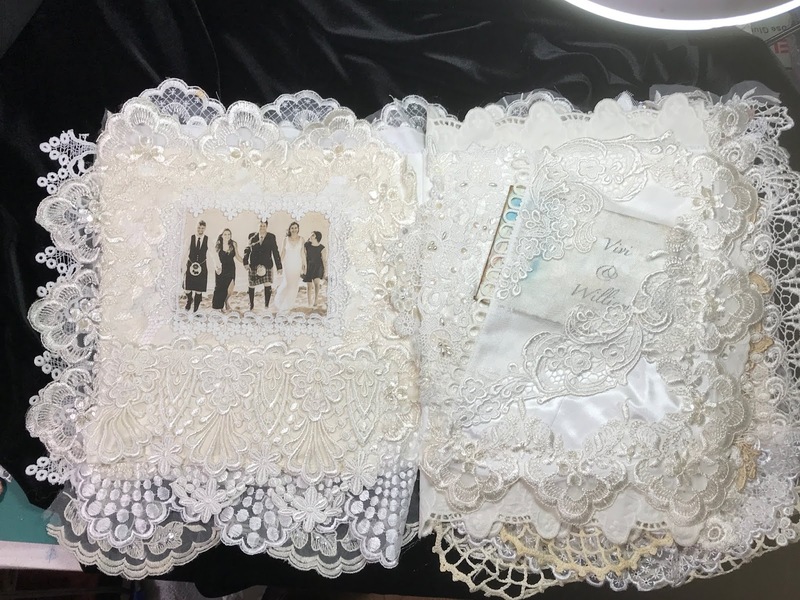 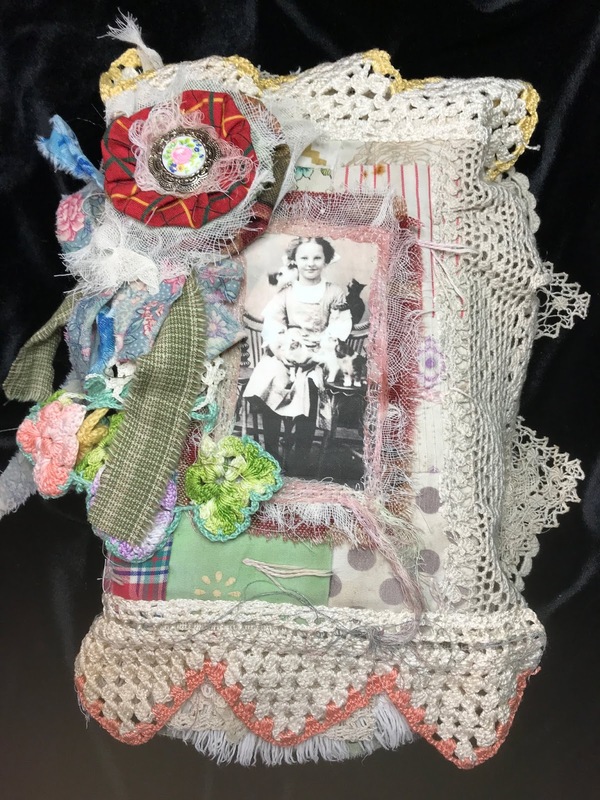 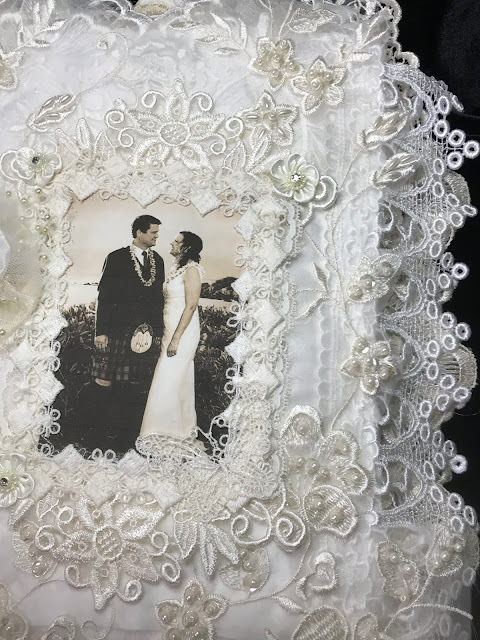 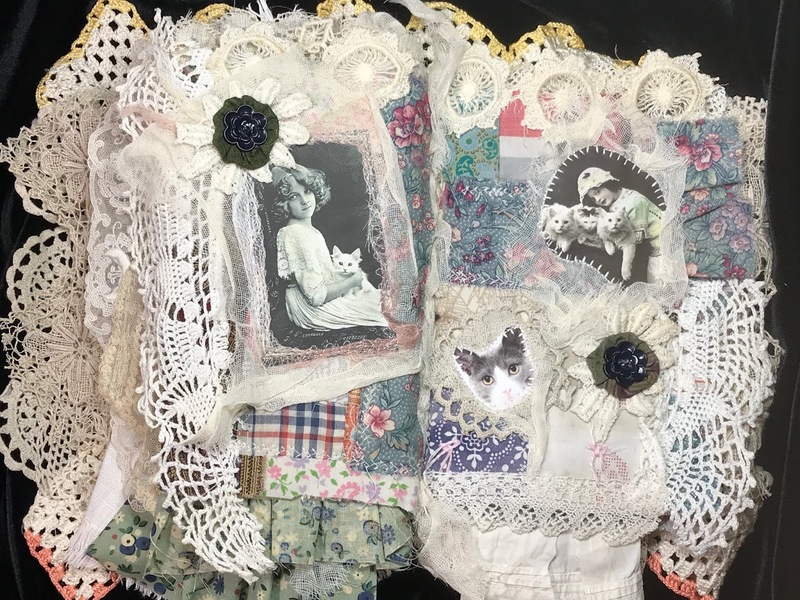 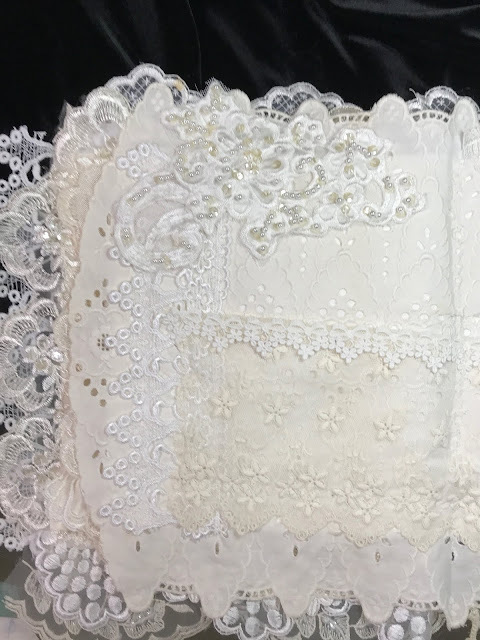 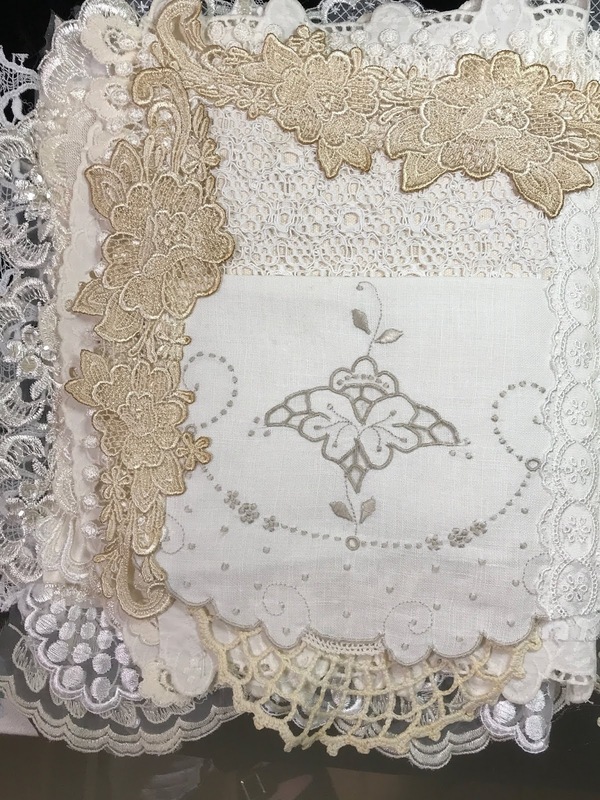 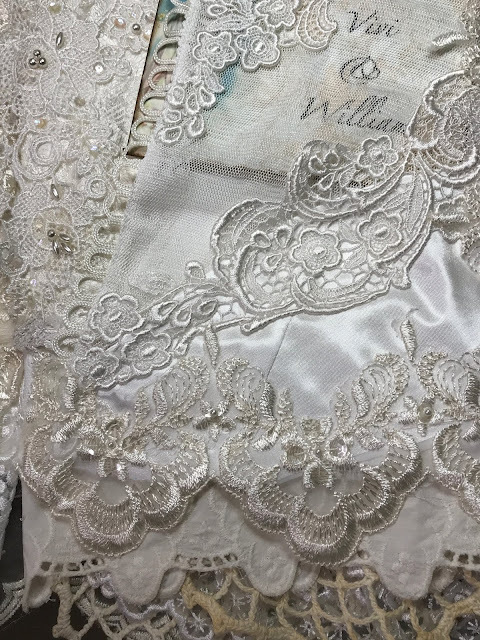 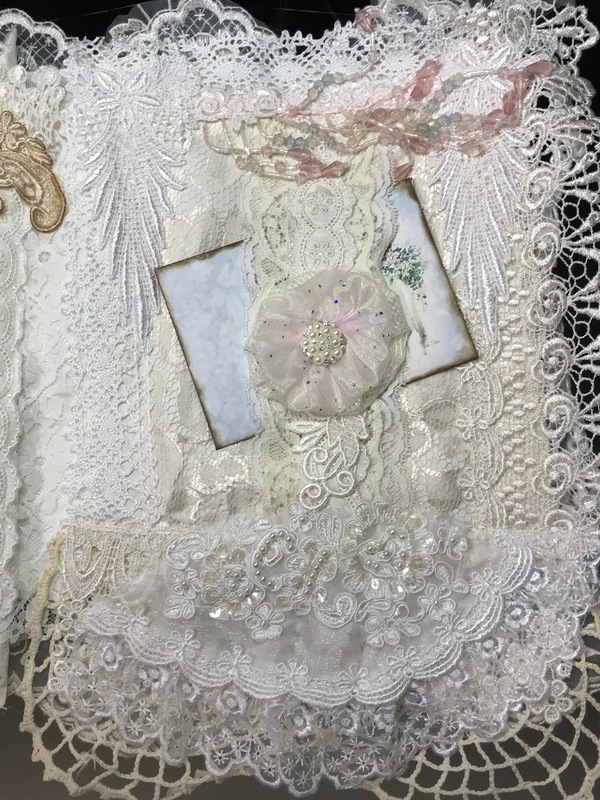 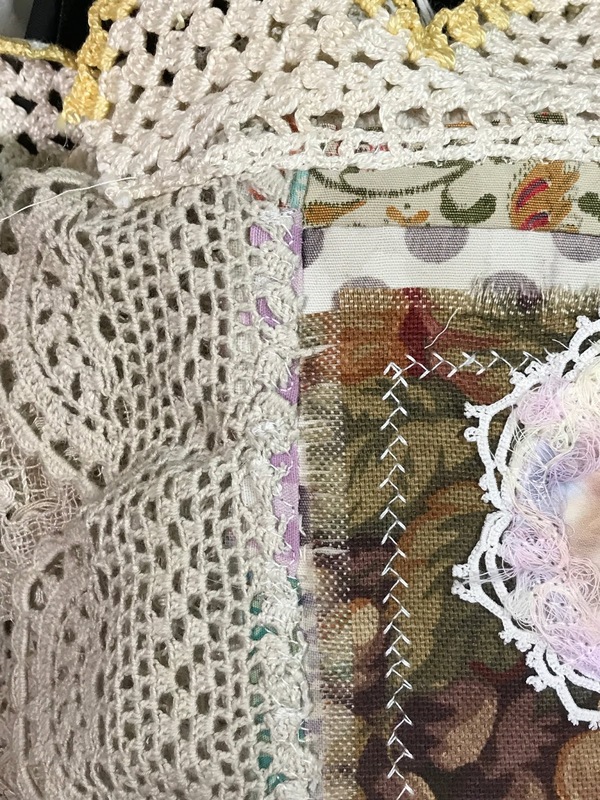 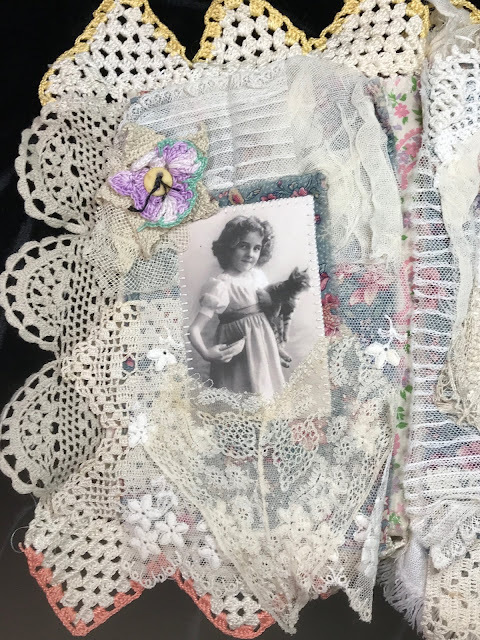 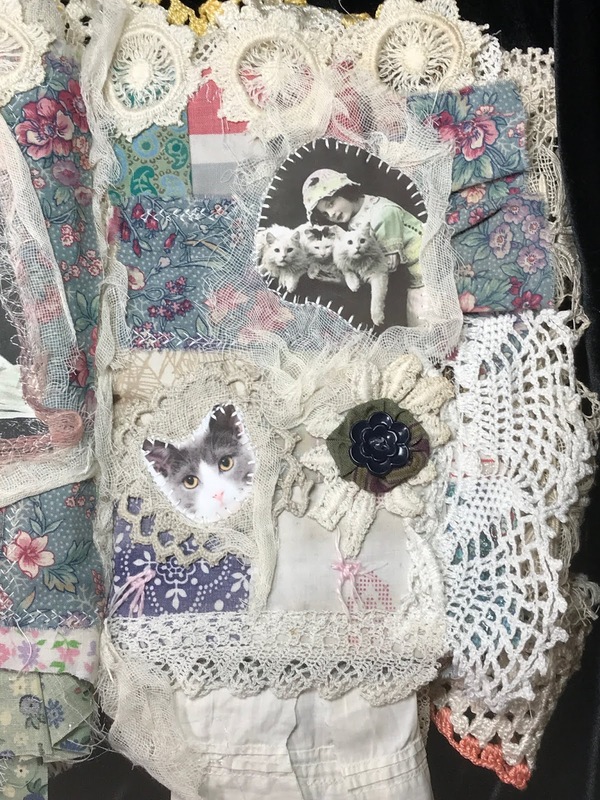 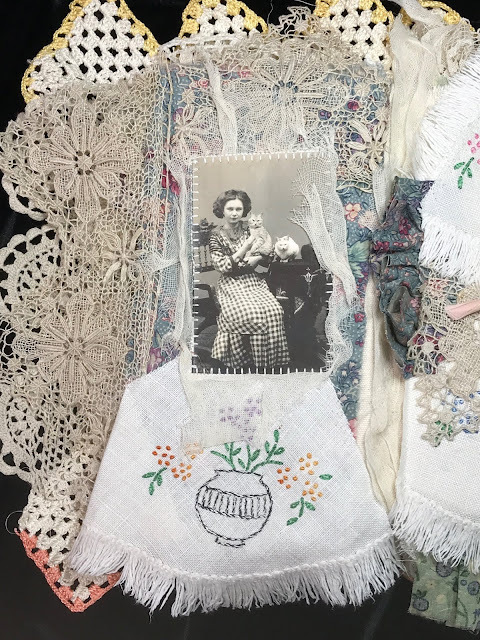 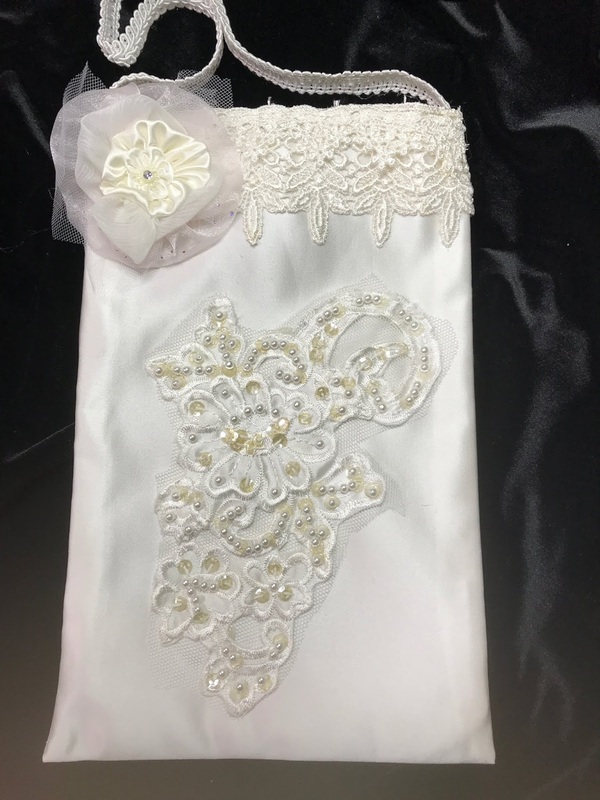 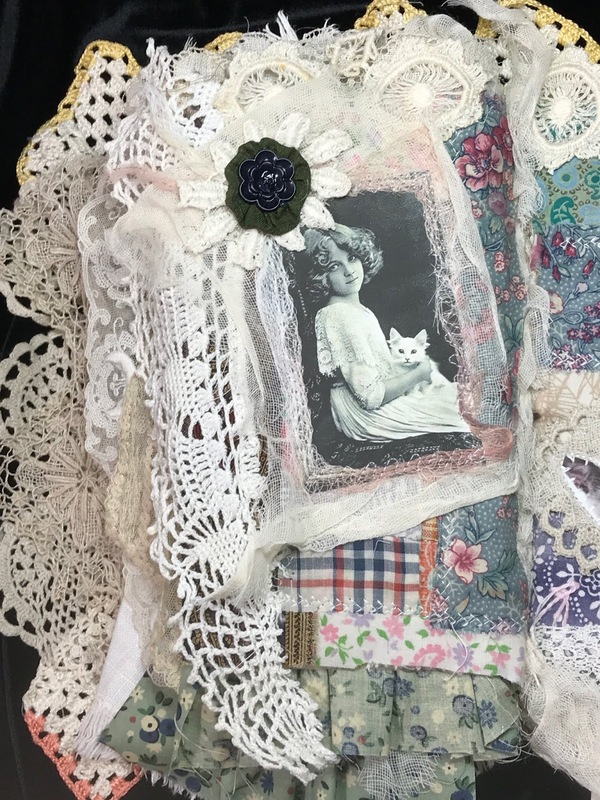 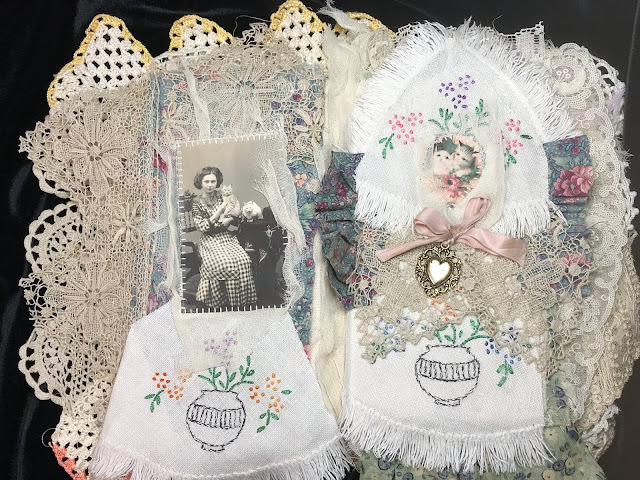 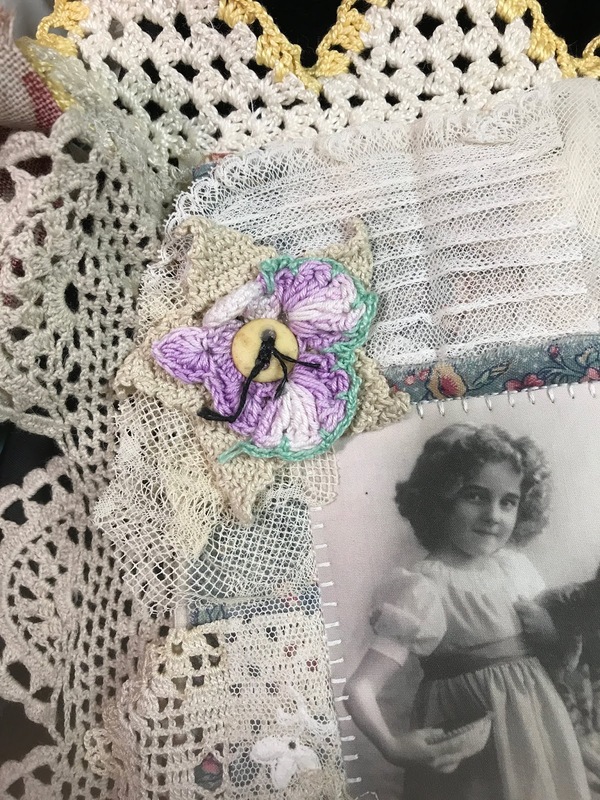 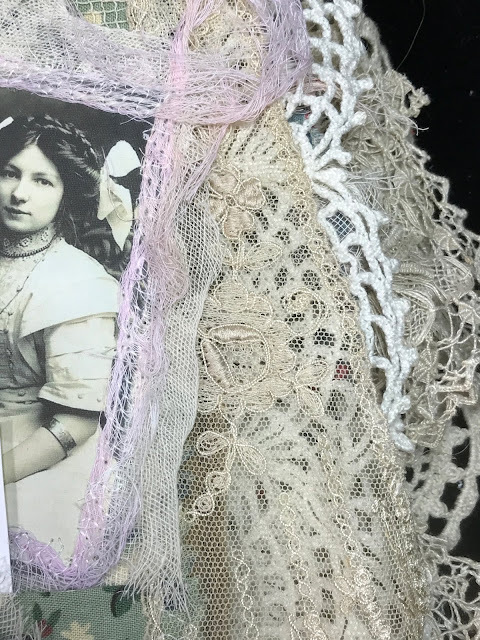 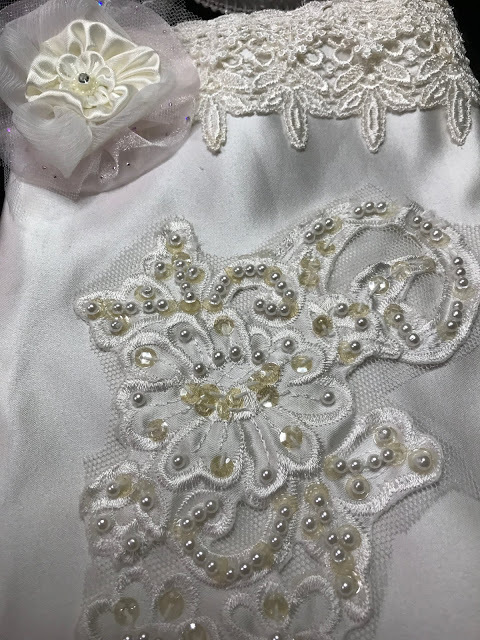 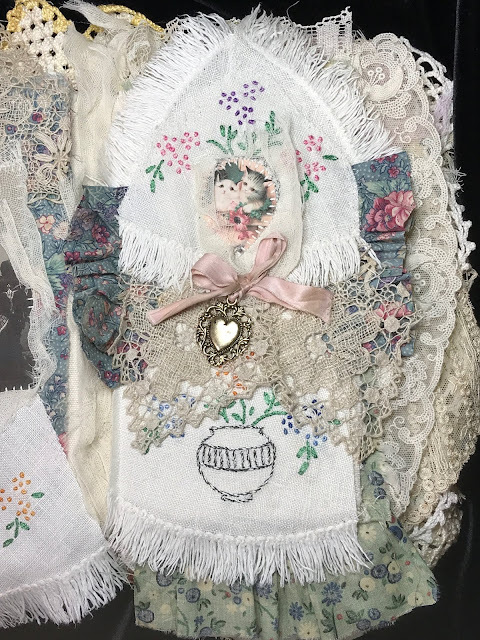 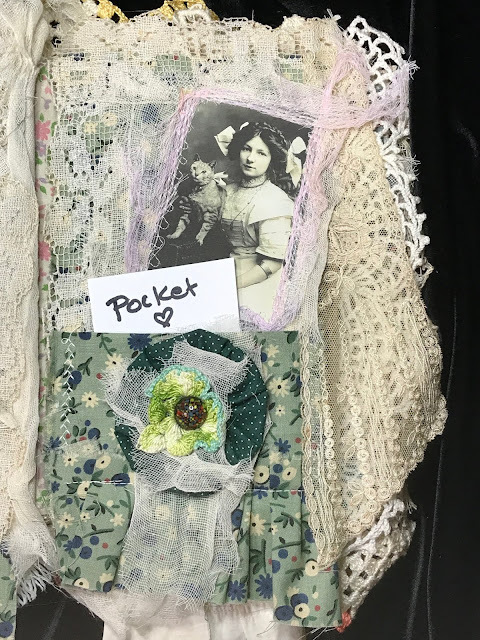 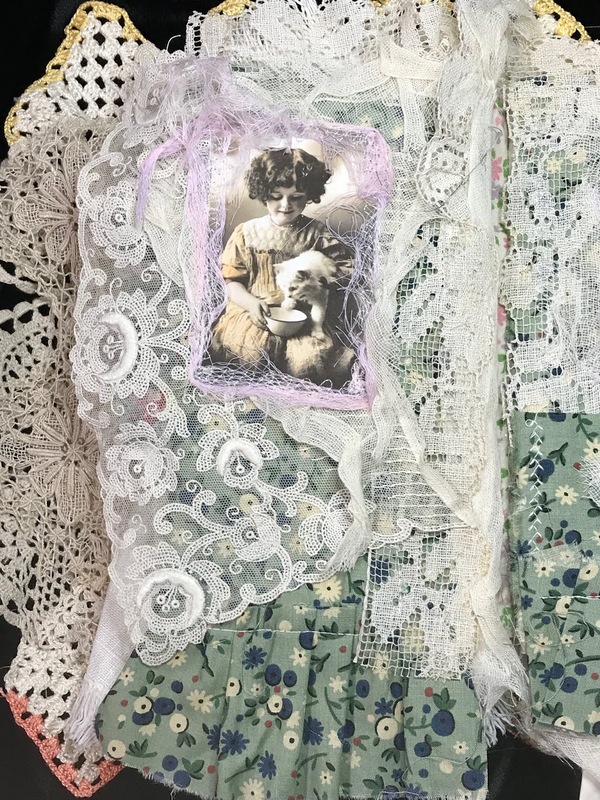 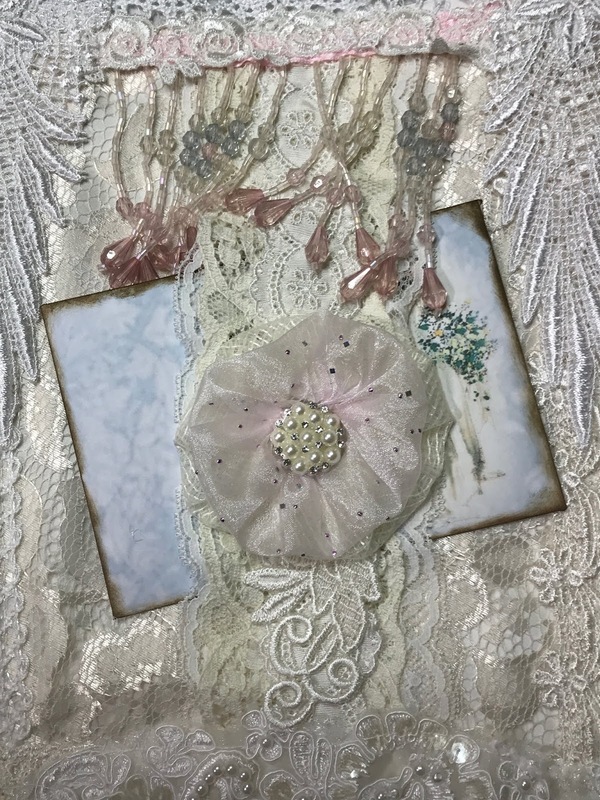 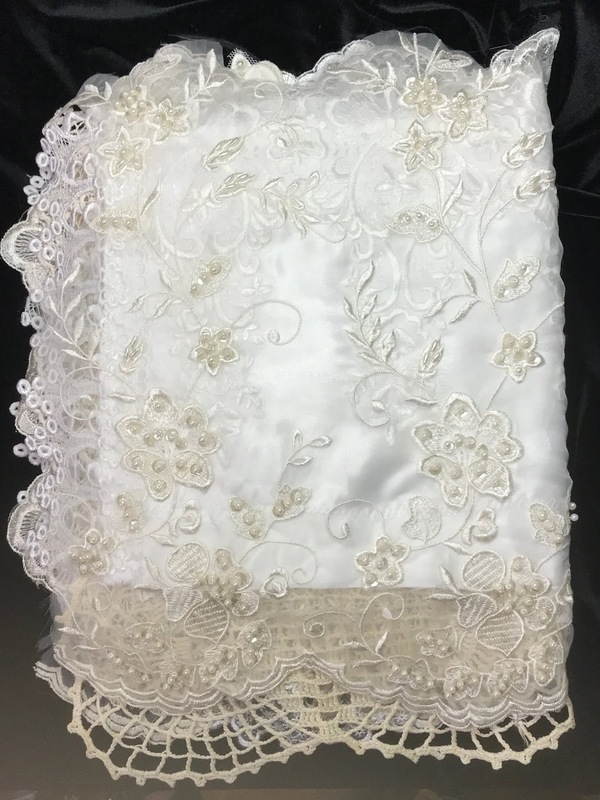 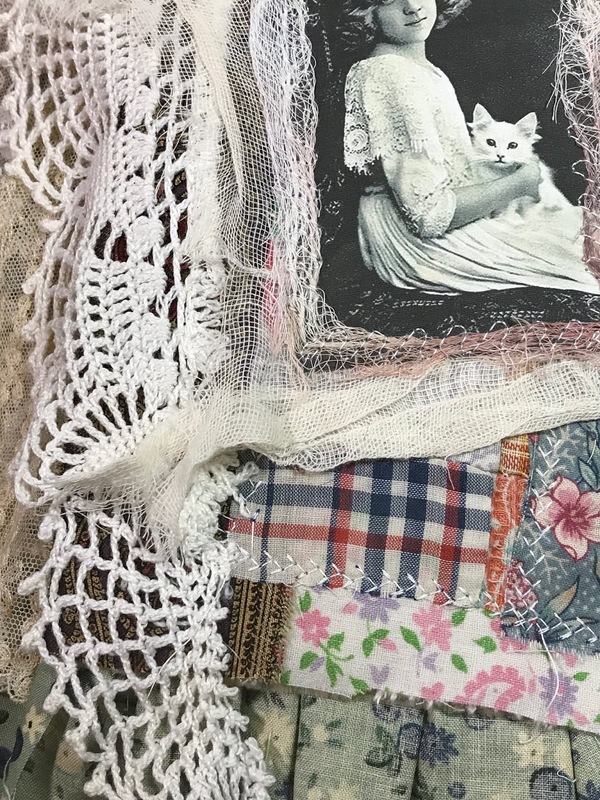 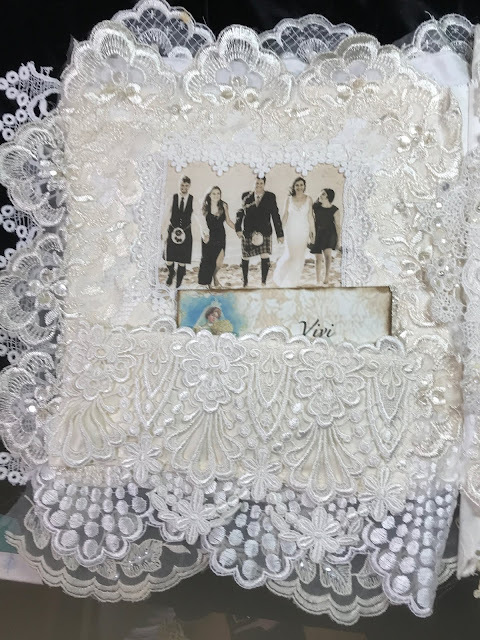 Here is a Wedding Keepsake Book...created from four vintage wedding dresses, 1950's to 1990's...all having very loving and long marriages! 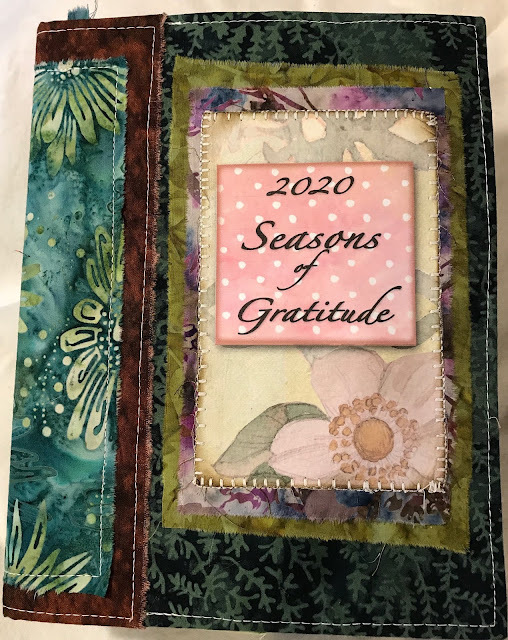 Definitely good Karma! 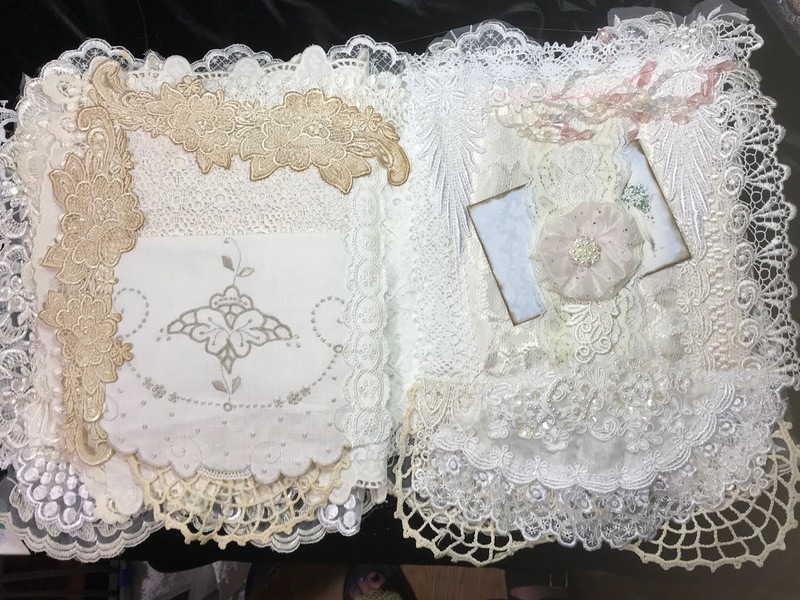 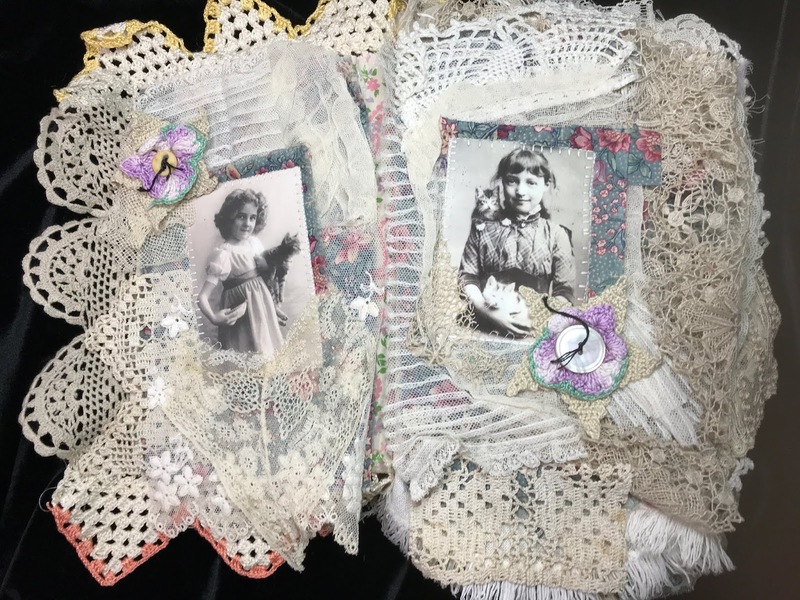 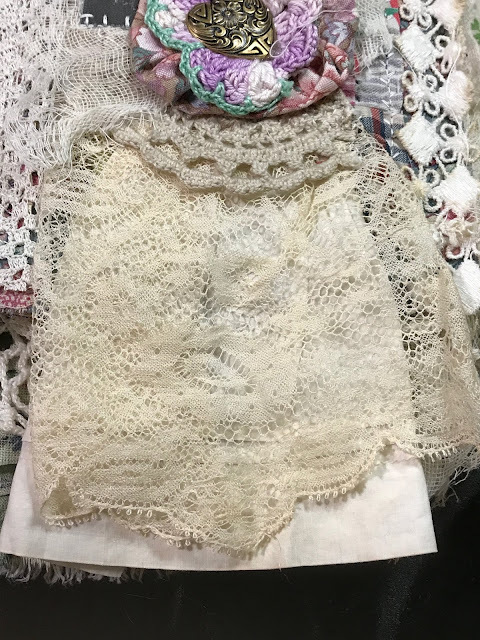 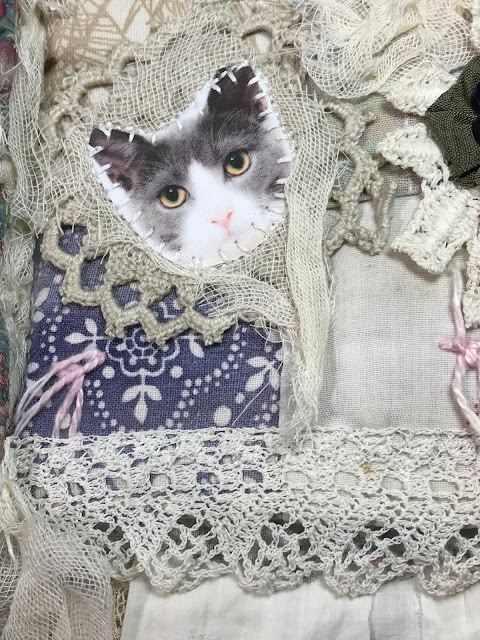 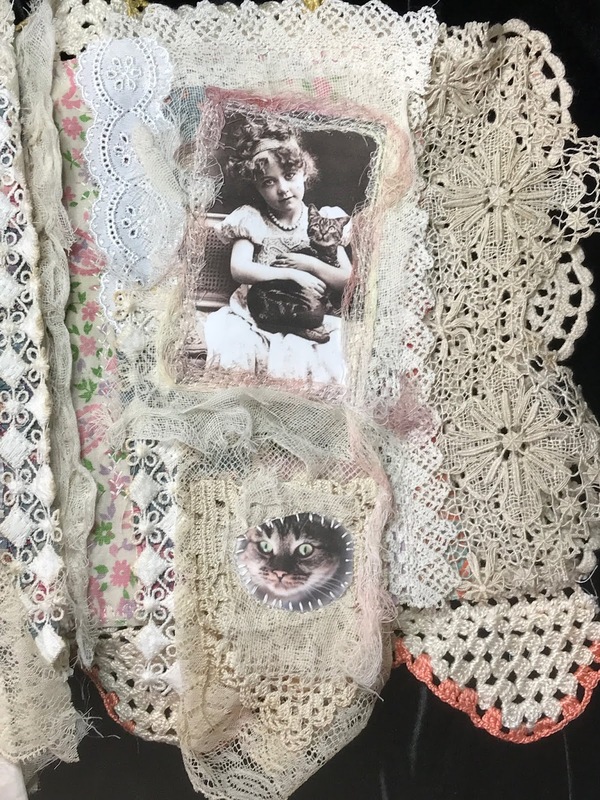 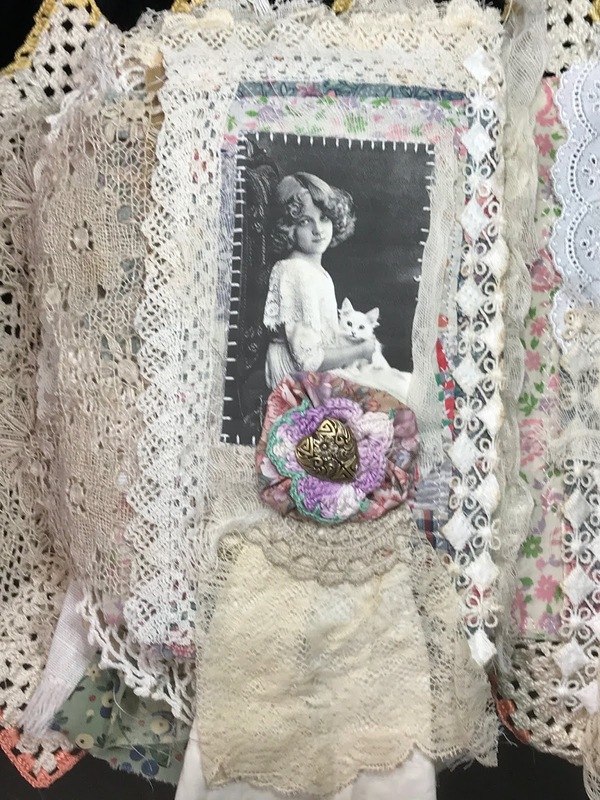 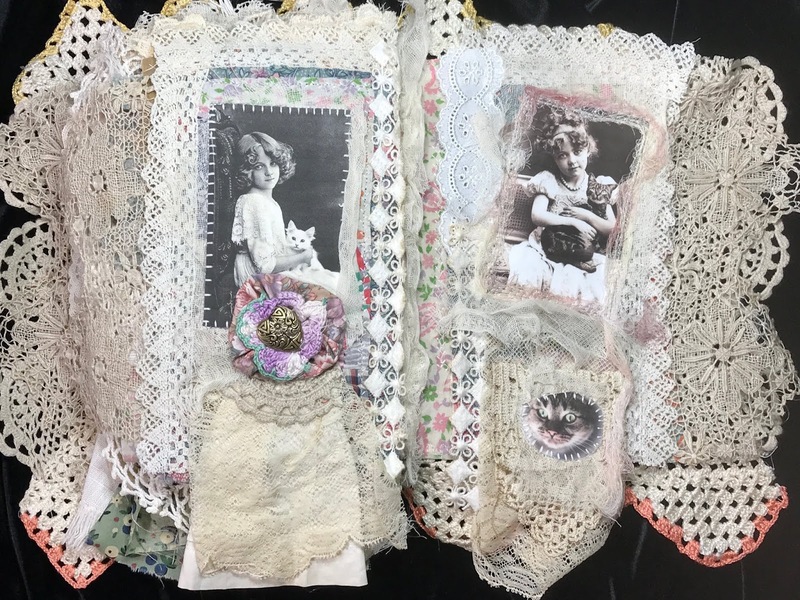 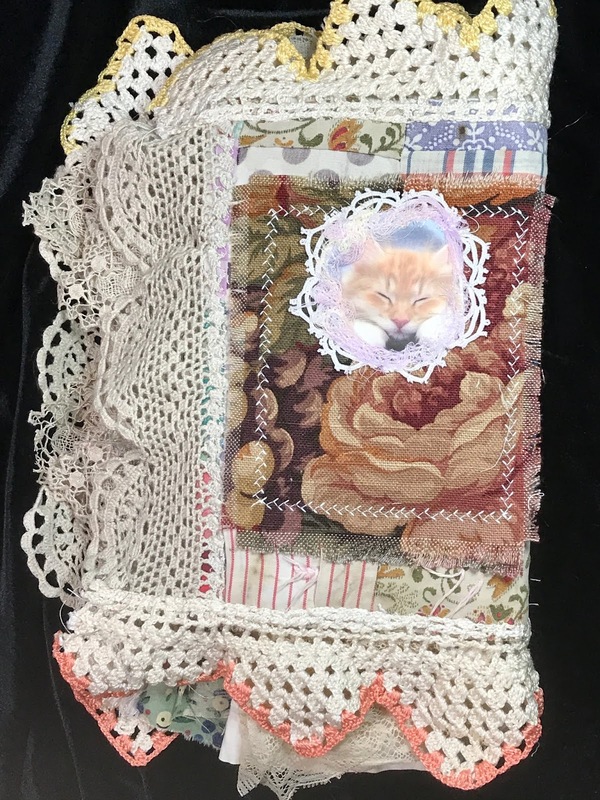 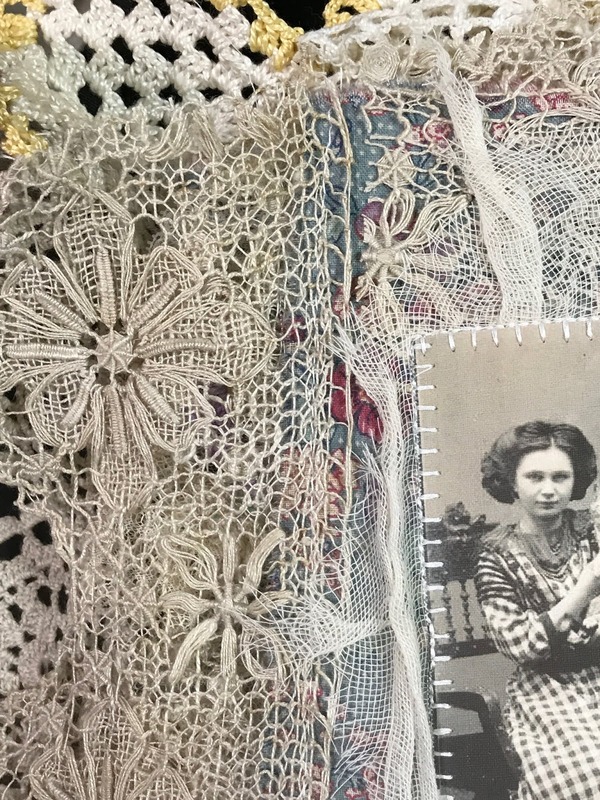 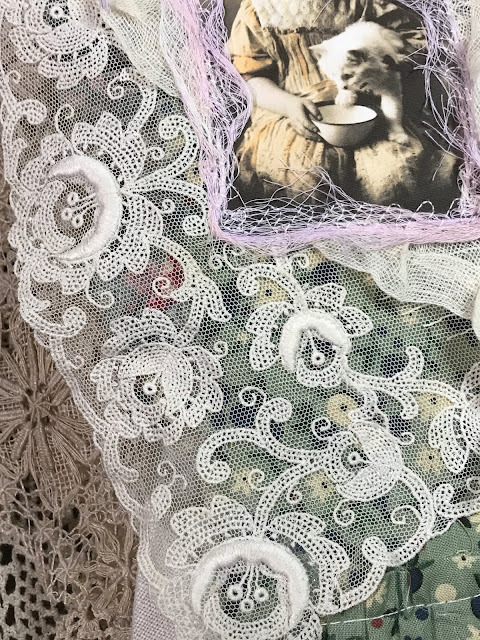 While I'll be teaching this class at Piecemakers in Costa Mesa this fall, I am listing oversized lacy book on my Etsy site. 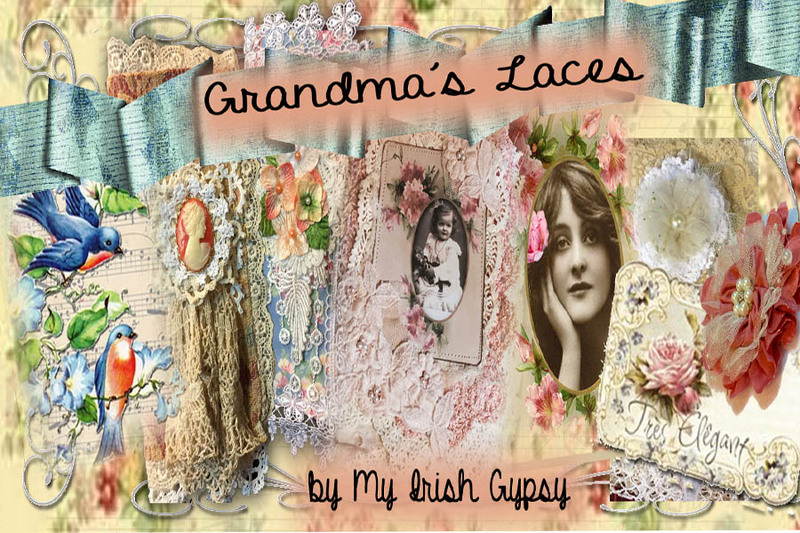 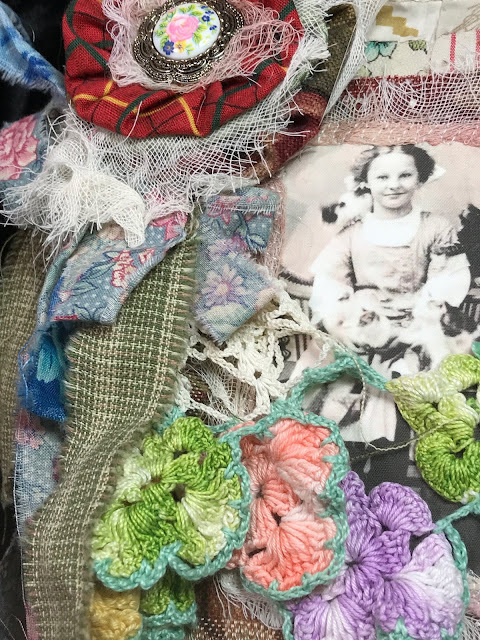 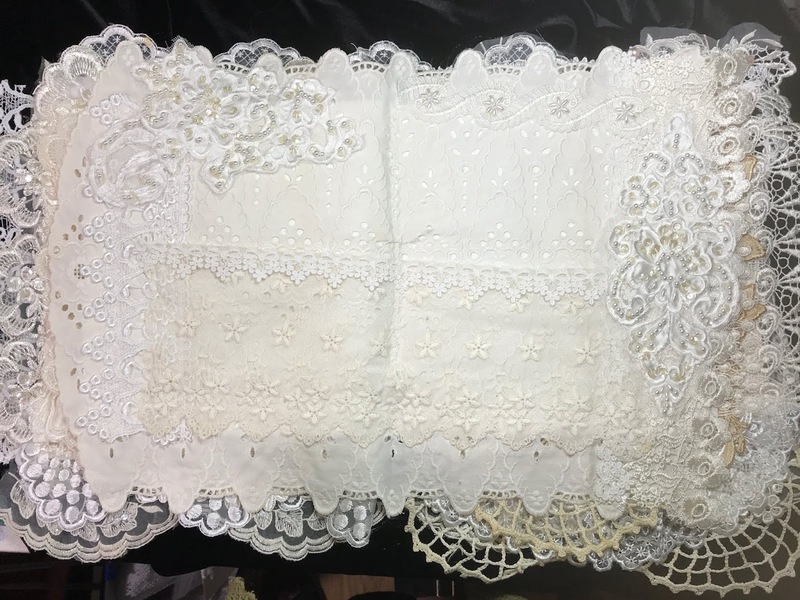 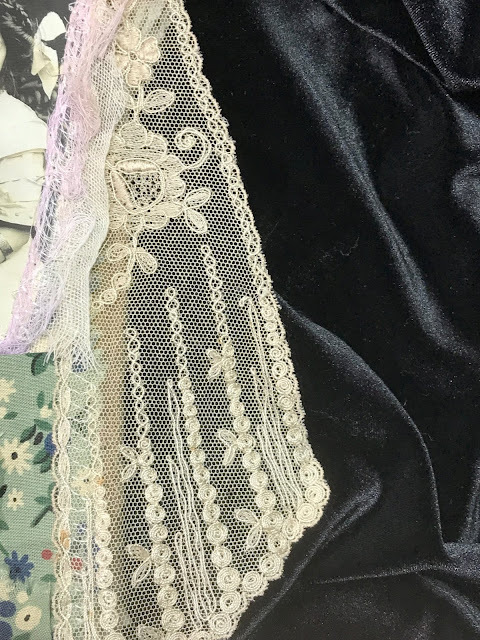 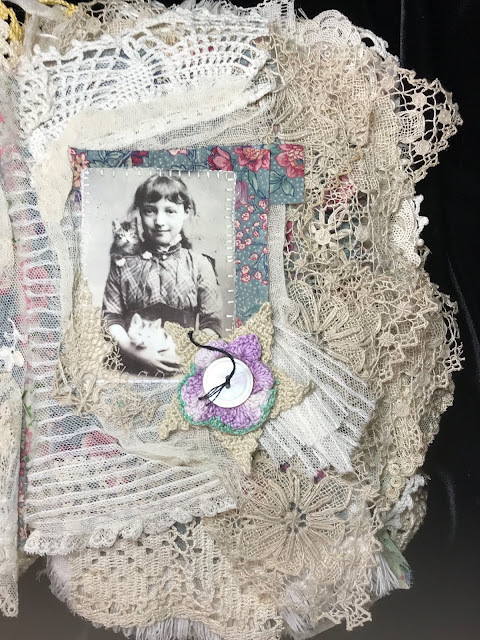 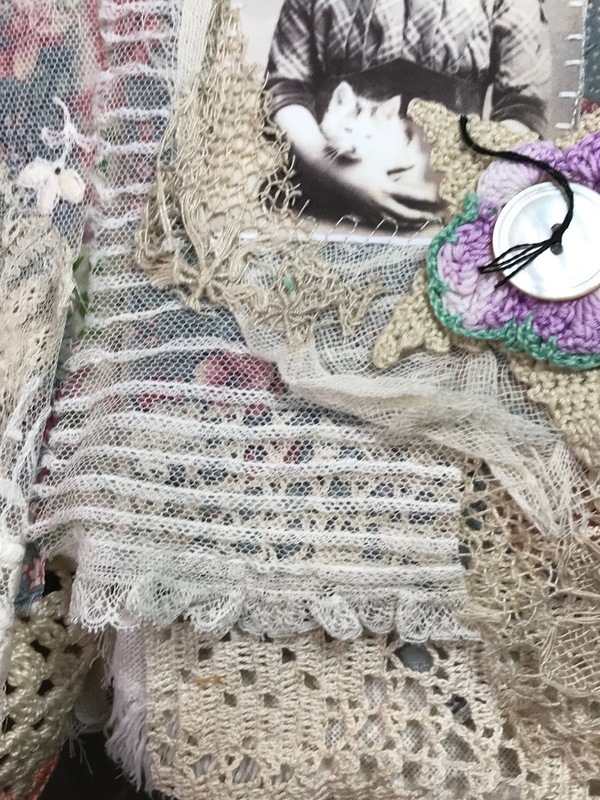 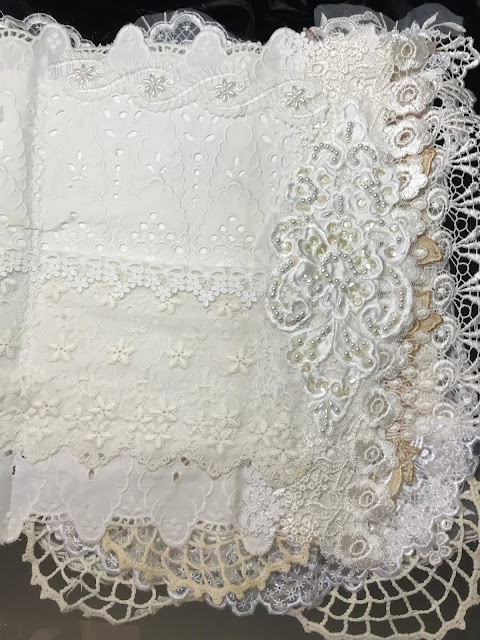 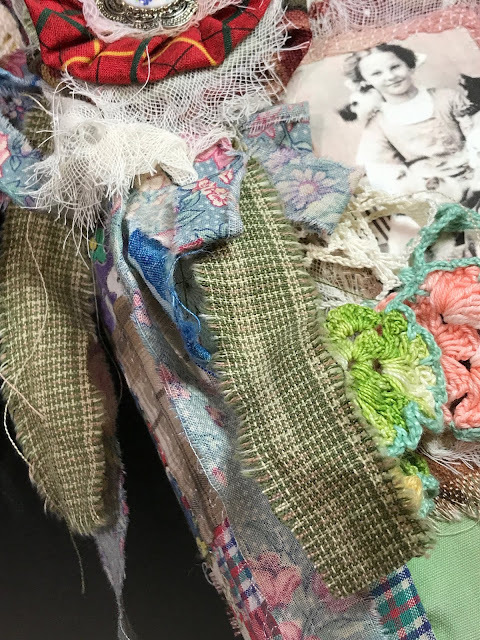 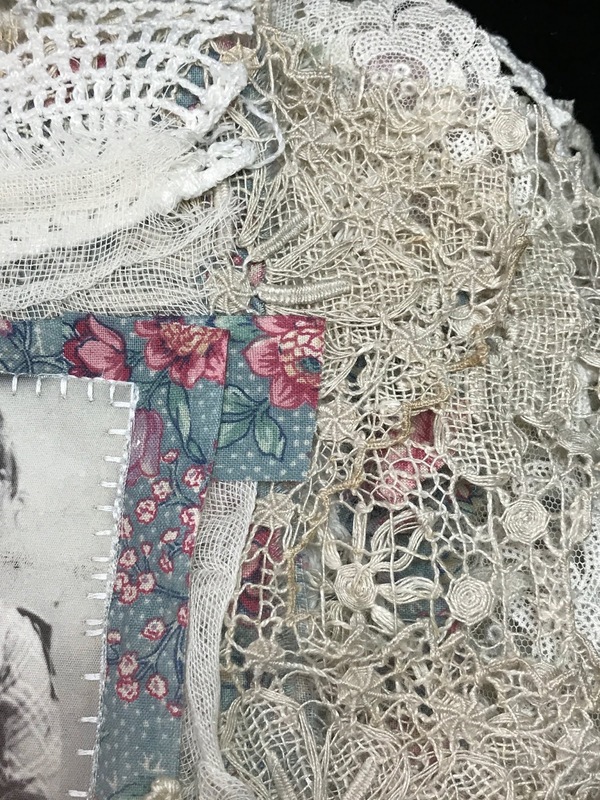 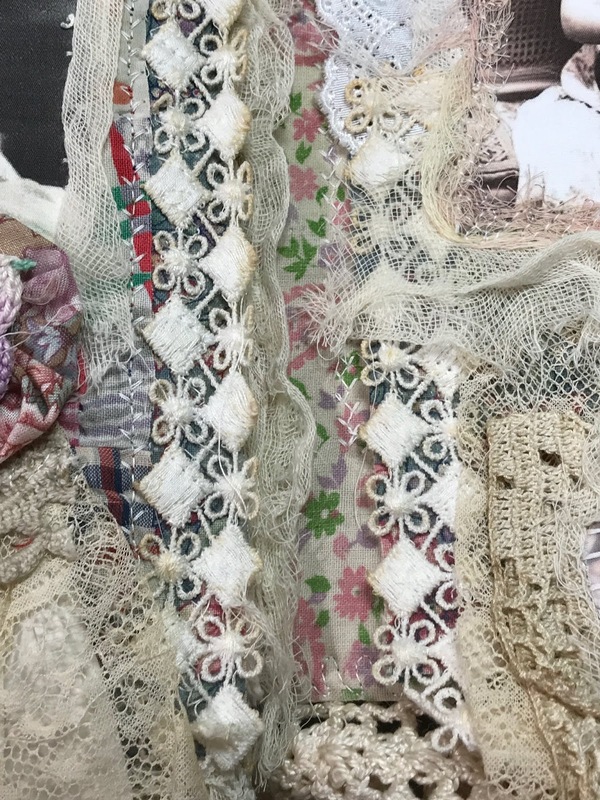 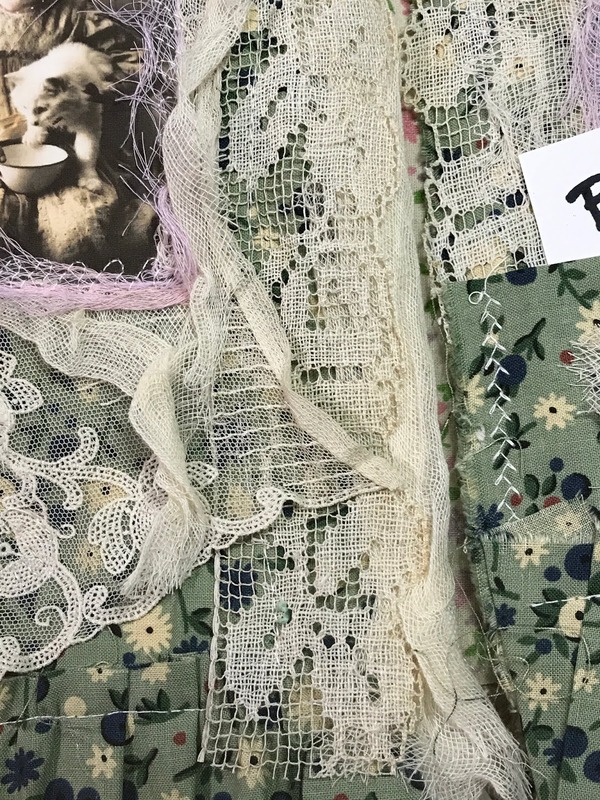 Here are the beautiful closeup pictures....Vintage laces, some are antique...100 years old. 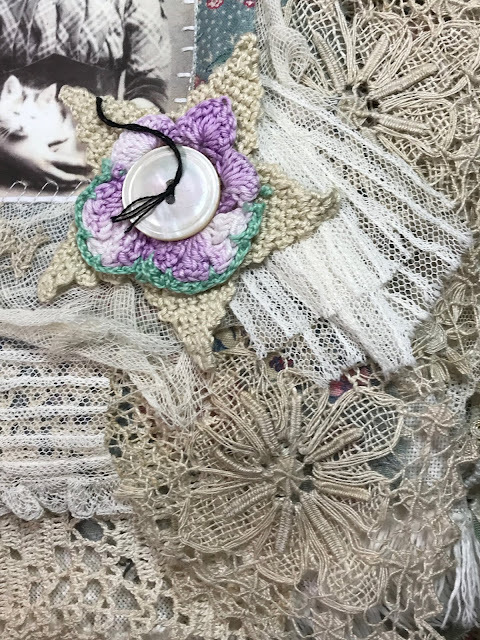 Needle laces, tatting, crochet, etc.